November | 2016 | Mike Lamberti, From Margate To Cleveland, And Back ! Bad news has a way of traveling quickly, and when someone messes up, it’s all over the proverbial front page. 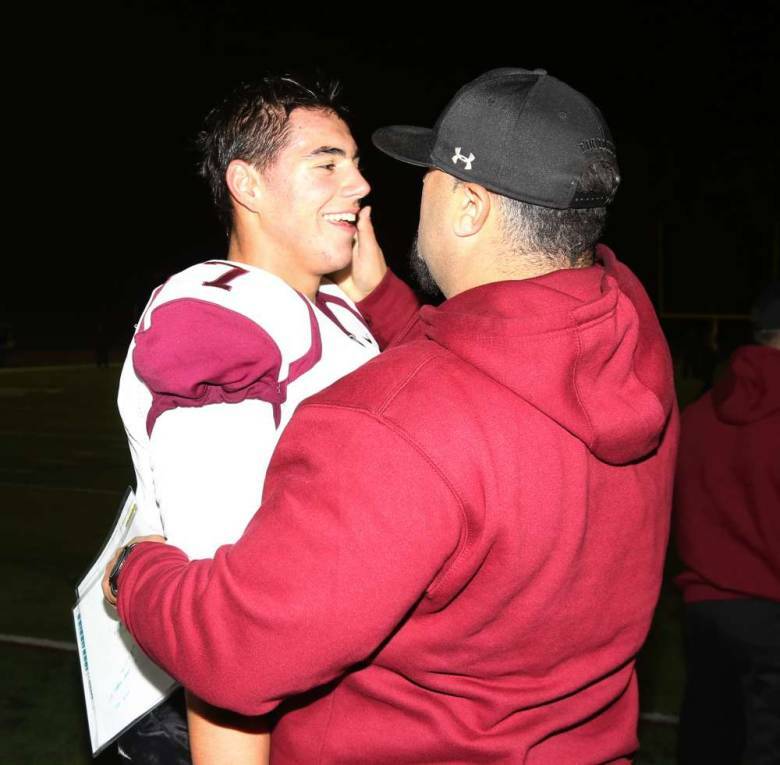 But when a football player from Wayne Hills, and a parent from West Morris Central, Hills’ opponent from last Saturday, have a simple, but classy conversation, that should get more than a few glimpses. With that said, social media can be fun, when done right. West Morris Central and Wayne Hills played a high-quality football game on Nov. 26, in a state sectional semifinal. Hills won, 31-14, but the game was much closer than the score would indicate. Dario Sirni shows the form which accounted for a huge field goal in a state sectional semifinal on Nov. 26. 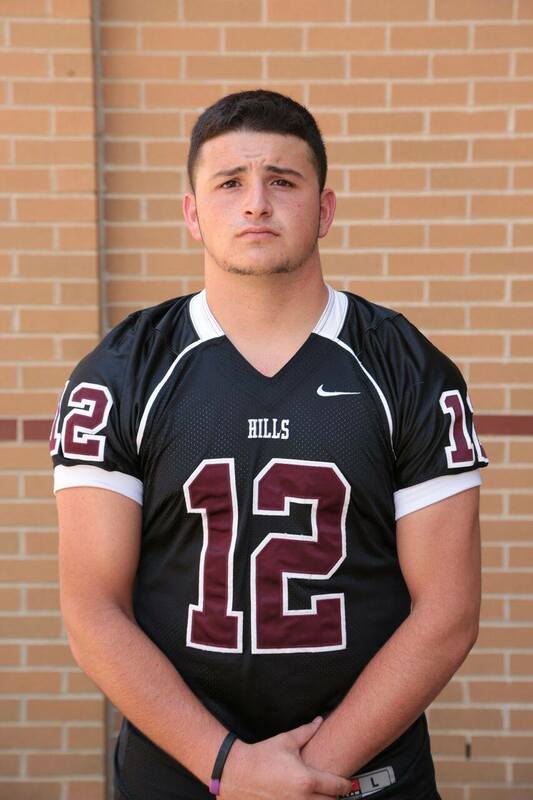 A key to the win came late in the game, when Wayne Hills’ Dario Sirni kicked a 41-yard field goal to give Hills a 17-point lead and, in essence, ice the game. 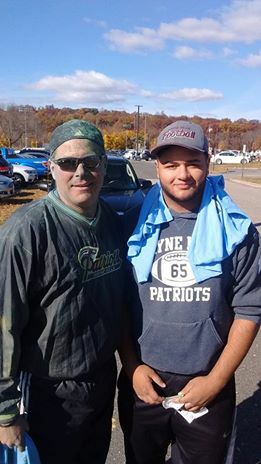 Anyway, one of the parents of the West Morris players, Steve Draghi, whose son, Cole, is as good a running back as Hills had seen all season, read a post I had written about Dario’s clutch field goal, on social media, after the game. 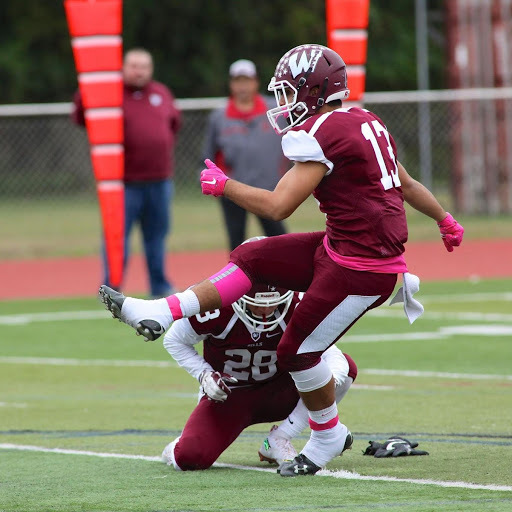 Steve reached out to Dario, on medium, to say what a good kicker he is, and wished Dario luck at MetLife Stadium this Sunday in the sectional championship game. “Great game Dario! You’re a great kicker. Congratulations and good luck at MetLife,” said Steve. A simple conversation between a young man and a grateful parent. Says a lot about human nature. 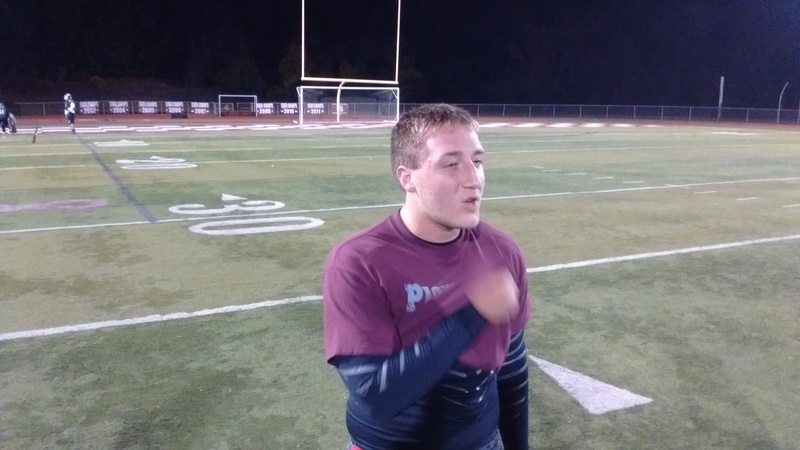 It’s certainly been a hectic season for the Wayne Hills football team. Back on Labor Day weekend, the Patriots were in Pahokee, Florida to open its season, and lost a 34-23 decision to a team that remains unbeaten and will be playing for a state championship next week. Once back in New Jersey, Wayne Hills hasn’t lost since, winning 10 straight and earning a berth in the NJSIAA, North Jersey, Section 1, Group 4 championship game on Dec. 4, at MetLife Stadium. The road to that 10-1 record has been well documented. Solid play on the field was offset by an off-the-field issue which almost ended the team’s season three weeks ago, but Hills persevered. 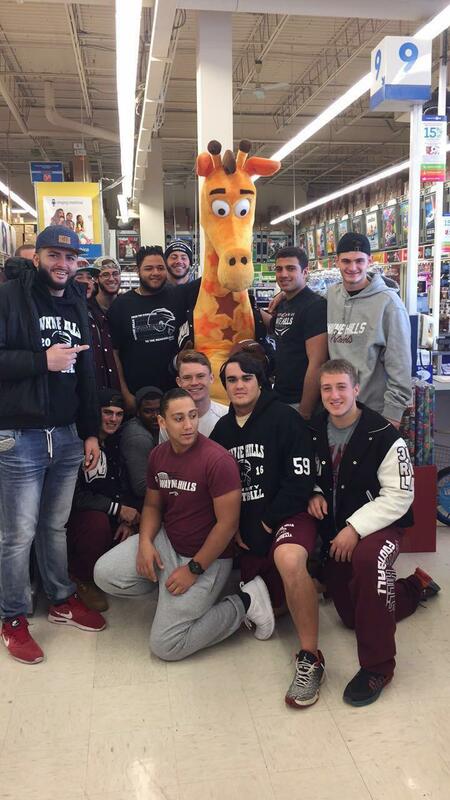 And on Nov. 27, the football program raised money for the players to go shopping at Toys-R-Us, to pick out some gifts for some youngsters at St. Joseph’s Children’s Hospital, in Paterson. The players wanted to do the shopping and will be giving out the gifts soon. As Wayne Hills football coach Wayne Demikoff surveyed a critical situation late in his team’s North Jersey, Section 1, Group 4 semifinal against West Morris Central, the coach called for his trusted assistant coach, ‘The Czar‘ of the special teams, Walt Johnson. The situation was simple. Hills had a 28-14 lead with 3:30 left, and faced a fourth down at the West Morris 24. The Patriots could either go for a first down, or try a 41-yard field goal. Sirni, a junior, stepped onto the field and calmly booted a 41-yard field goal, off the snap from Jason Modak and a solid hold by Zach Zachmann, giving Hills a three-possession lead, and the Patriots went on to win, 31-14. 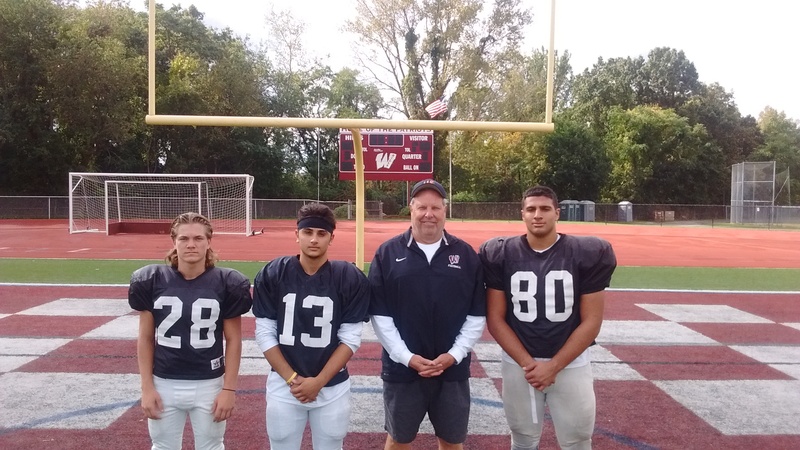 The Wayne Hills special teams, led by (left to right) Zach Zachmann, Dario Sirni, the Czar, Walt Johnson and Jason Modak. The win was the 10th straight for top-seeded Wayne Hills (10-1), which will move onto the sectional championship game, at MetLife Stadium in the Meadowlands, on Sunday, Dec. 4. There, it will face third seeded Wayne Valley (9-2) at 7 p.m. West Morris finished an excellent season with a 9-2 record. Wayne Demikoff addresses Patriots after a win over a really good West Morris team on Nov. 26. 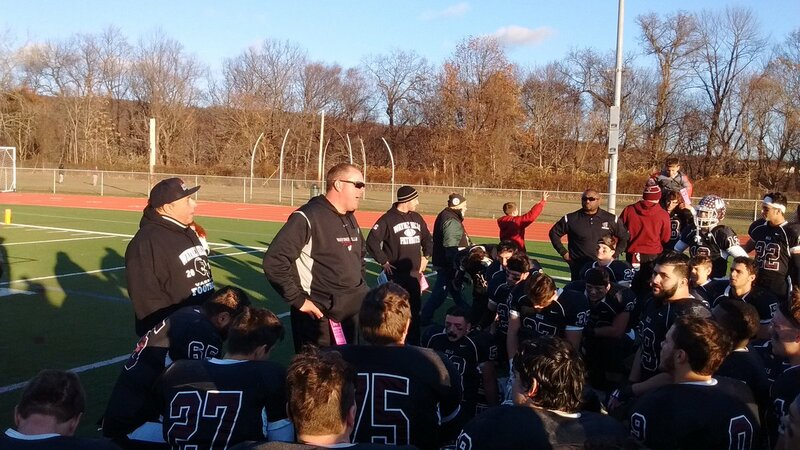 Wayne Hills will seek a ninth state championship on Dec. 4. It last played Wayne Valley in a state final nine years ago and won, 27-7. The schools also met in a 1991 state championship game, which Valley won, 7-0. 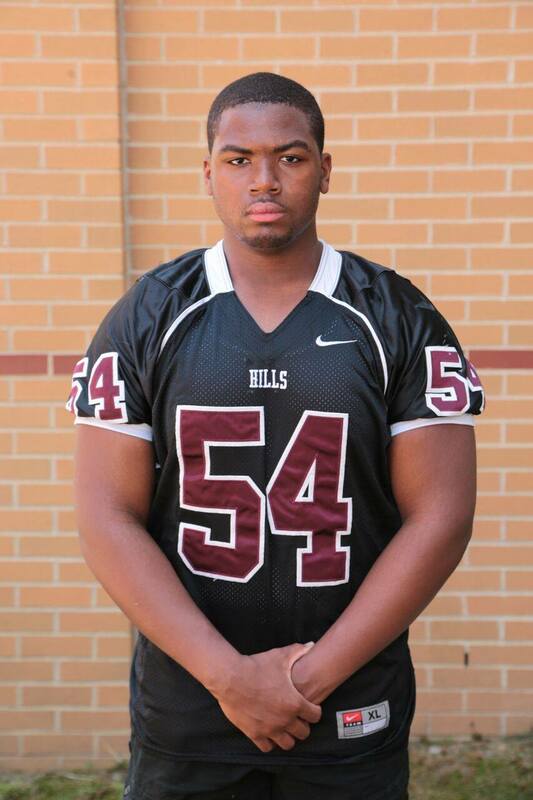 Hills leads the all time series with Wayne Valley, 9-2, which includes a 2-1 record in the playoffs. 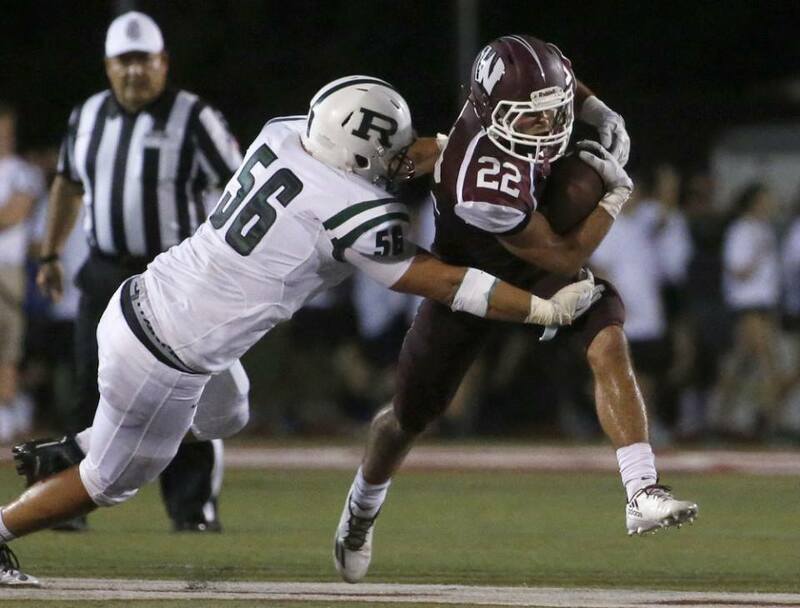 Hills has won the last four meetings between the schools, including a 25-24 win on Oct. 28. Wayne Hills will be appearing in its 16th state championship game since 1997, as the team seeks a ninth state championship and first since 2011. Demikoff knew that West Morris would be a tough customer. 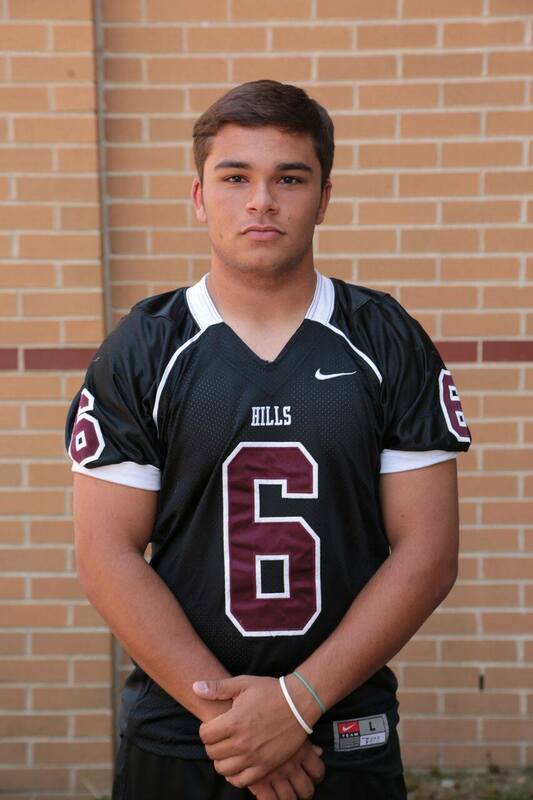 Hills opened the scoring on a 59-yard run by Tyler Hayek in the first quarter, followed by Sirni’s point after kick. West Morris countered on a three-yard run by Ryan Finlay, off an excellent drive, to tie it. Hills regained the lead late in the first quarter on a 32-yard scoring strike from Brendan DeVera to Luca Grave which gave the Patriots a 14-7 lead. 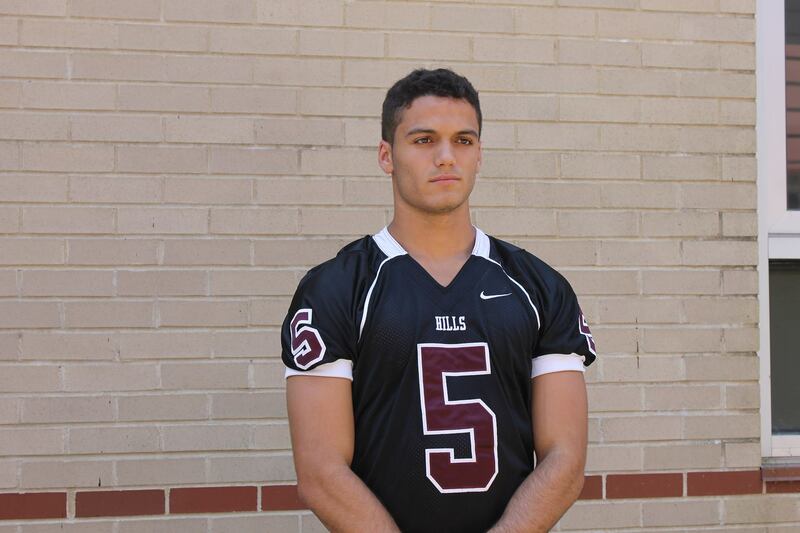 Luca Grave was back in top form for Wayne Hills, after an ankle injury slowed him down four weeks ago. 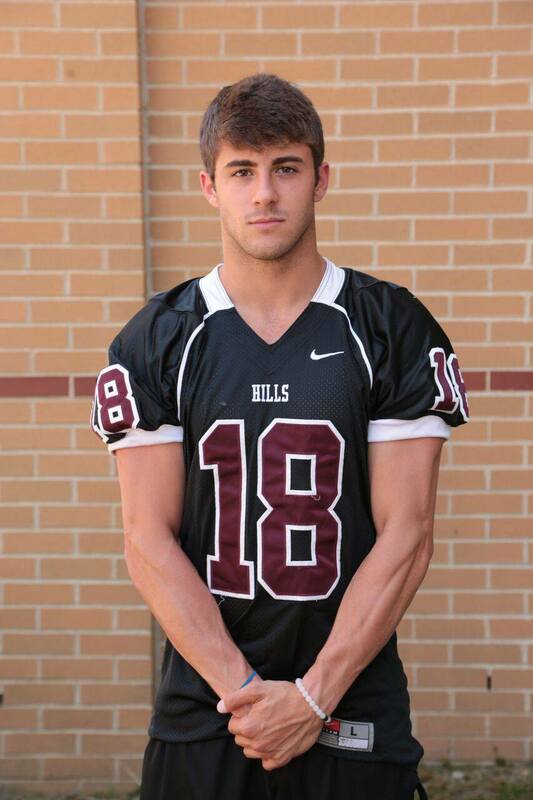 Tyler Hayek scored Wayne Hills’ first touchdown against West Morris. Before the end of the first half, the Patriots added a key score, which was highlighted by an incredible catch by senior wide receiver Evidence Njoku, who hauled in a one-handed pass, in traffic, which set up a key first down. Hills later scored when DeVera scored on a 14-yard run, making it 21-7 at the half. The Patriots extended to a 28-7 lead in the third on a DeVera touchdown pass to Hunter Hayek of 34 yards. West Morris closed to 28-14 early inn the fourth quarter on a run by Cole Draghi, on fourth down. 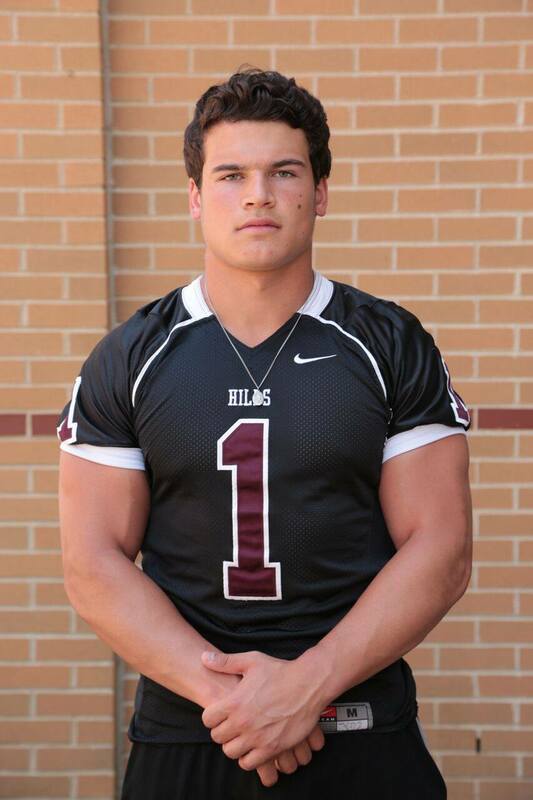 Draghi was outstanding for the Wolfpack, rushing for over 200 yards. “That kid was tremendous,” said Demikoff of Draghi. Hills’ running game, led by Grave, who rushed for 101 yards, controlled most of the second half, and Sirni’s field goal sealed the deal for Hills. DeVera was outstanding again and tied Christian Olsen’s school record for career touchdown passes, with 56. DeVera also has the new school record for passing yards in a season, with 1,919. NOTES: On defense, Tyler Costello had 11 tackles, Nick Petracco finished with 10, Ky Salley and Omar Tskhovrebov had eight each and Modak had six tackles and a quarterback sack. Modak has 10 sacks on the season. Hunter Hayek set a new school record for receptions in a season, with 53, and now has 863 yards in receptions this year, also a new school record. Bill Monan held the old marks, which were set in 2001. 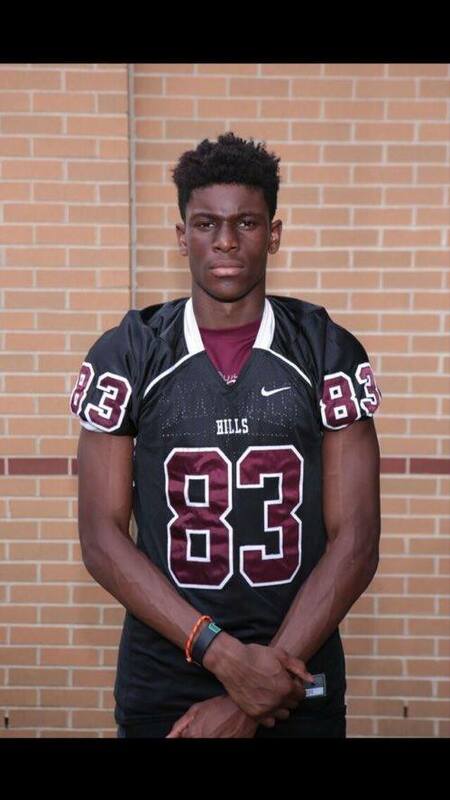 Wayne Hills football coach Wayne Demikoff thought that the past few weeks of turbulence in his team’s program could best be attributed to his players by remembering what the holiday season is all about. “Yes, it got hectic for us,” said Demikoff. “But in the end, a lot of people supported us through the process. And what we want our players to always know is that helping others, in need, will go a long way in their own lives. This is a high school football team, and our kids work hard. The team donated 25 turkeys to the Father English Community Center, which is located at 435 Main Street, in Paterson. Carlos Roldan, the Pantry Director at the Center, was on hand to receive the turkeys. The players also helped to load them onto Roldan’s van. 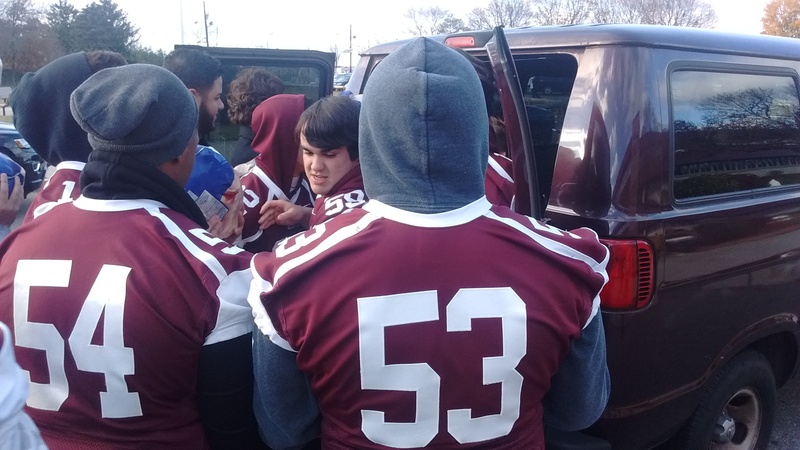 Team captain John Stadler (59) receives turkeys to place in van from teammates Tyler Costello (53) and Ky Salley. Wayne Hills is preparing for the semifinal round of the North Jersey, Section 1, Group 4 tournament on Nov. 26, when the top-seeded Patriots play host to fourth seeded West Morris Central, at 1 p.m.
“It’s a busy week, especially with Thanksgiving, but we’ll get our practice time in,” said Demikoff. In October, the team took part in a Fun Run to help autistic children. In winning a conference championship on Nov. 4, against Irvington, the Wayne Hills High School football team finished an 8-1 regular season on a high note. However, not all the news was good. 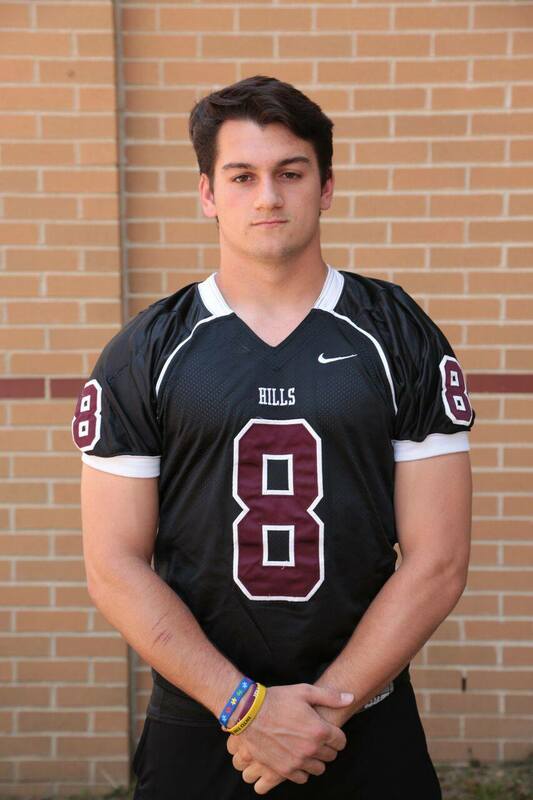 Senior Chris Pusterla went down with a serious knee injury late in that game, and will miss the rest of the season. 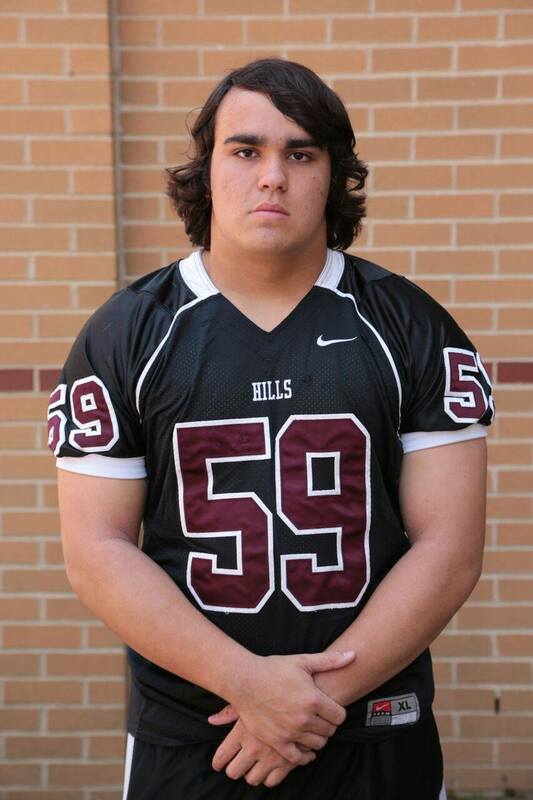 Sophomore lineman Gabe Dellechiaie injured his knee in an August scrimmage at Montclair and recently had surgery. He’s hopeful to be ready for practice by June. Pusterla had been an outstanding linebacker for the Patriots, according to head coach Wayne Demikoff. “Chris was playing really well for us,” said Demikoff. “You hate to see any player get hurt and need surgery. For the last four years, Chris has been a hard worker and committed young man to this program. 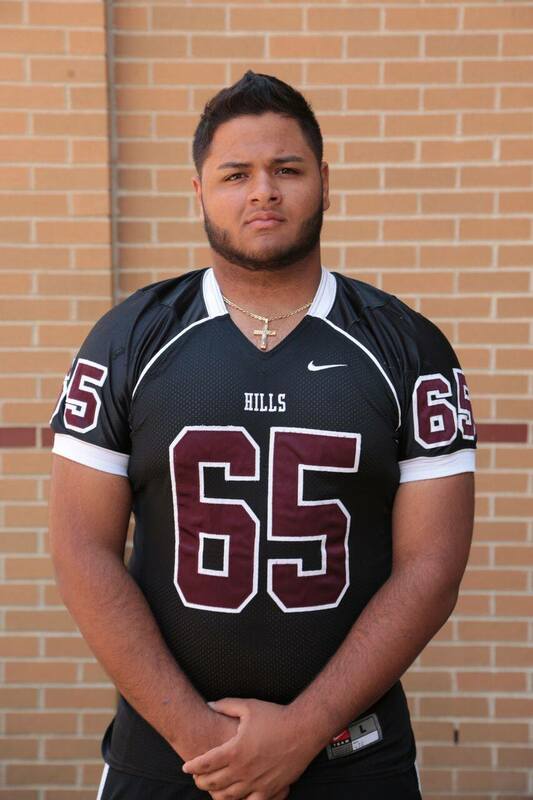 I can’t say enough about his tenacity, team-first attitude and the attributes it takes to be a Wayne Hills football player. Pusterla will most likely have surgery on his knee in a few weeks and start rehabbing. 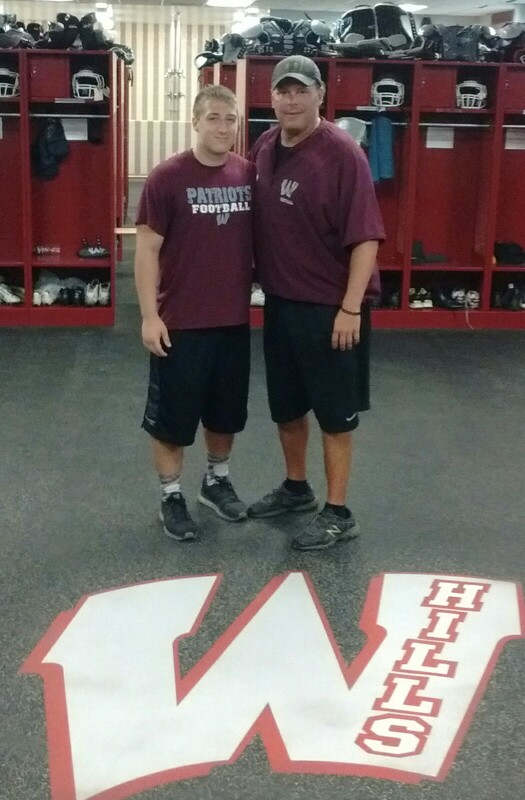 The past two weeks were certainly adventurous for members of the Wayne Hills High football team. But once the Patriots got back on the field for the first round of the NJSIAA playoffs on Nov. 20, it was business as usual for the top-seeded team in the first round of the North Jersey, Section 1, Group 4 playoffs, with a 33-7 win over Roxbury, in Wayne. 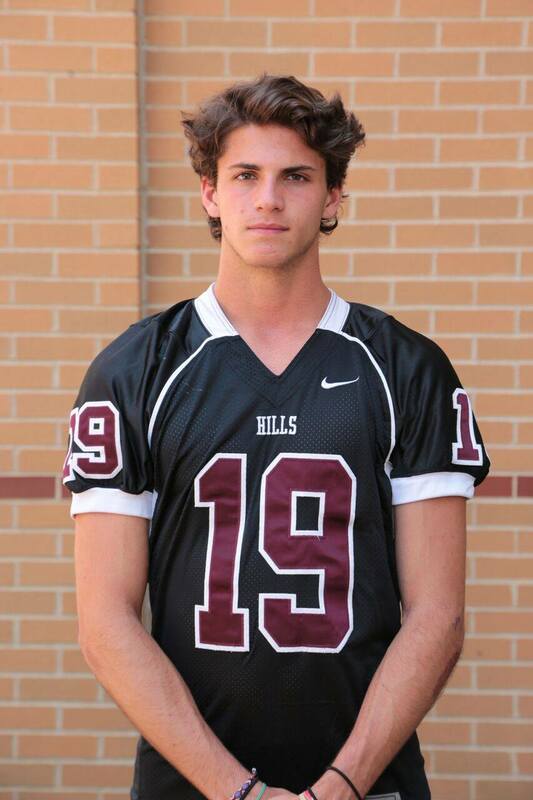 Hills got another tremendous game from quarterback Brendan DeVera (14-for-21 passing, 260 yards and 4 TD’s), as well as wide receivers Hunter Hayek, Tyler Hayek and Evidence Njoku. Brendan DeVera, here with offensive coodinator John Jacob. Hunter Hayek caught 6 passes for 118 yards against Roxbury. The Patriots also got some big hits, including a beautiful tackle from Bence Polgar on a Roxbury kickoff return and Njoku’s marvelous block on an offensive drive. John Stadler, a team captain, continued his tremendous season on the offensive line. There was also some marvelous defensive work by Chris Ruby, who was back after a shoulder injury two weeks ago, Jason Modak, Anthony Couso, Tyler Costello, Dom DiCarlo and Omar Tskhorebov. And because of a team effort which head coach Wayne Demikoff appreciated more than ever, Wayne Hills is two games away from winning a ninth state championship in school history. Wayne Demikoff addresses Patriots after walk through on the morning of game with Roxbury. 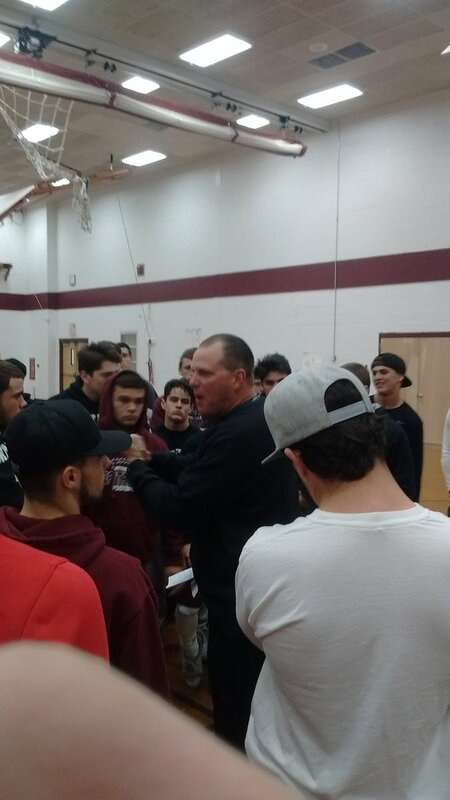 After eight days of craziness, the Wayne Hills football team had a ‘normal’ practice, as the Patriots prepare for Sunday afternoon’s first round, state sectional game, against a very good Roxbury team. As is his usual custom after a practice, head coach Wayne Demikoff addressed the team at midfield. Demikoff reminded his team that a year ago, the Patriots, which were seeded seventh in North Jersey, Section 1, Group 4, traveled to second seeded Roxbury for the first round. Hills won, 35-14. Roxbury played Hills during the regular season this year, in Roxbury, and led 35-21 in the fourth quarter, before Hills rallied to win, 42-35. On the injury front, seniors Danny Moussa and Tyler Costello appear to be getting better. Both have been dealing with knee injuries and are key to the defensive effort Hills will need to contain Roxbury. Moussa was a huge part of the team’s win over Irvington on Nov. 4, which clinched a conference championship. Even more noteworthy, as the Patriots practiced, a number of players and coaches watched as senior fullback Jacob Casale worked out on the sidelines. A day earlier, Casale reported that he was cleared to start practice on Nov. 16, an amazing accomplishment considering he had undergone major knee surgery in late July for torn ligaments. Casale had injured the knee during a non-contact drill in late June, at East Stroudsburg University, during the team’s four-day camp. 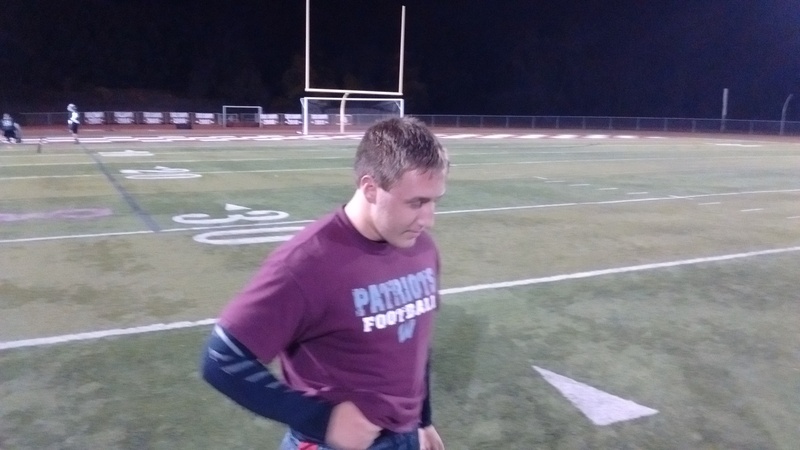 A day after the injury, which was considered a season-ending, Casale was unanimously voted a team captain. And Casale, one of the nicest kids you’ll ever meet, took it all in stride. Casale’s recuperative powers have been amazing. Demikoff was pleased to see Casale practicing. Following practice, the Patriots ventured to the weight room for a work out, before heading home. Just another day of practice at Wayne Hills. They’ve earned the top seed in the upcoming North Jersey, Section 1, Group 4 playoffs. 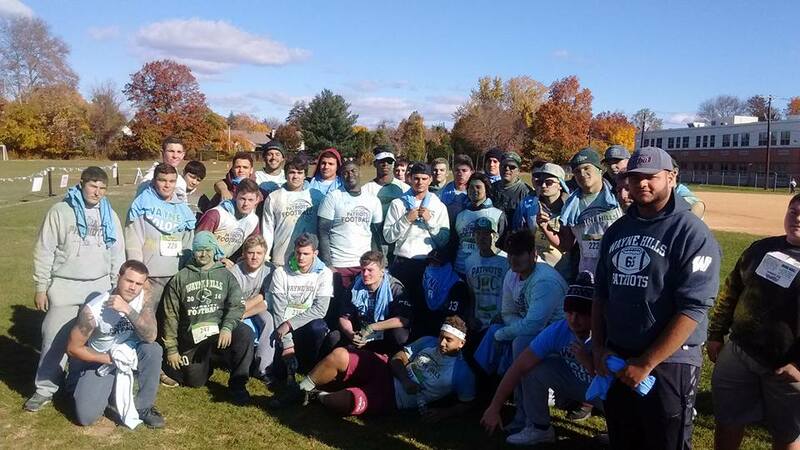 And while football may be paramount on the minds of the Wayne Hills Patriots team coaches and players at this time of year, taking part in a charity event to help children was just as important. 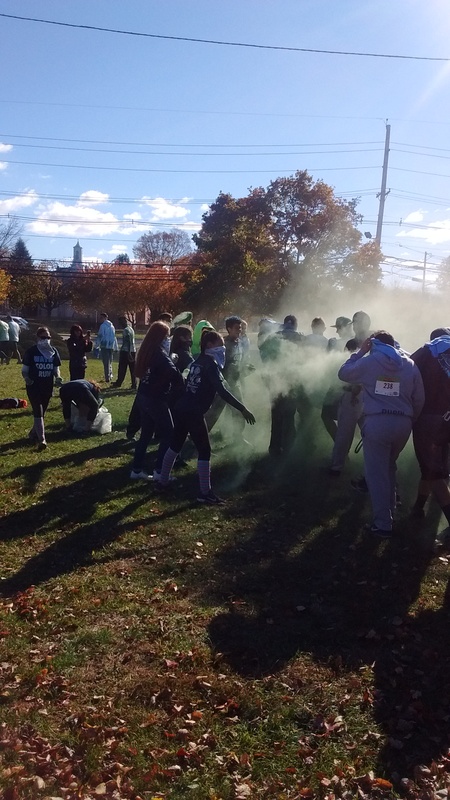 The Patriots and head coach Wayne Demikoff were at Wayne Valley High School on Nov. 6, to take part in a Wayne Color Run, 5K race to benefit St. Jude’s Children’s Hospital. 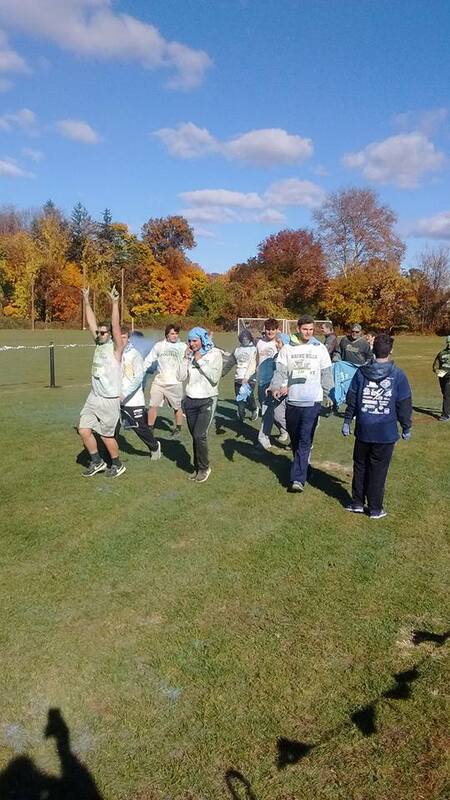 The race itself encompassed the Wayne Valley campus and there were plenty of different colors tossed, in fun, at all the participants, in the form of dry paint, as they ran, or walked, the course. 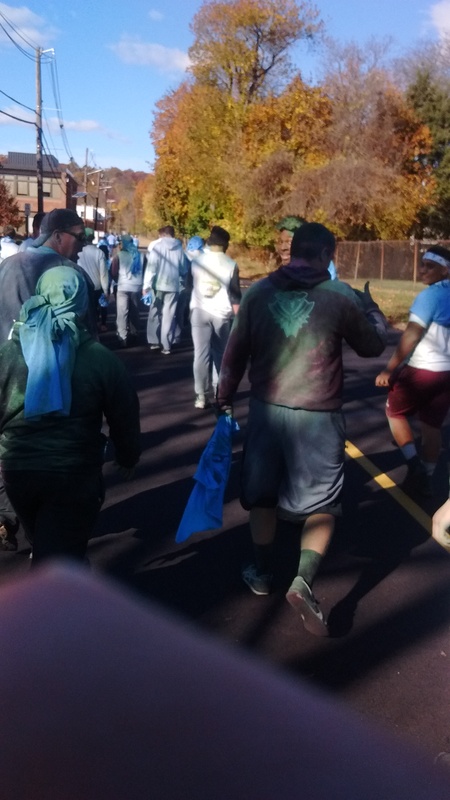 Demikoff, standing at the finish line with a mix of green, blue, yellow and red paints, over his clothes and sunglasses, was all smiles. He was also approached by a number of parents and fans, thanking him for bringing the team. Wayne Hills, which was won eight straight games, will host Roxbury in the first round of the NJSIAA playoffs, most likely on Nov. 11, at home, in a 7 p.m. start. The team ended its regular season on Nov. 4, defeating previously unbeaten Irvington, 48-27, to clinch a second straight conference championship. 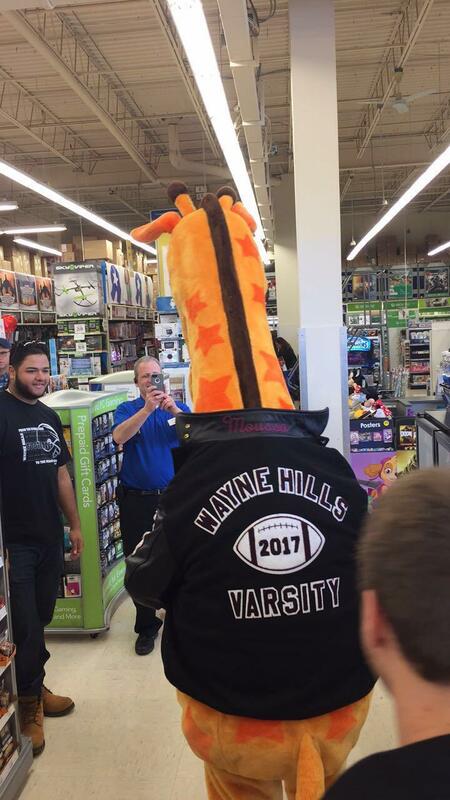 Wayne Hills football has been making the rounds, supporting charities and classmates. 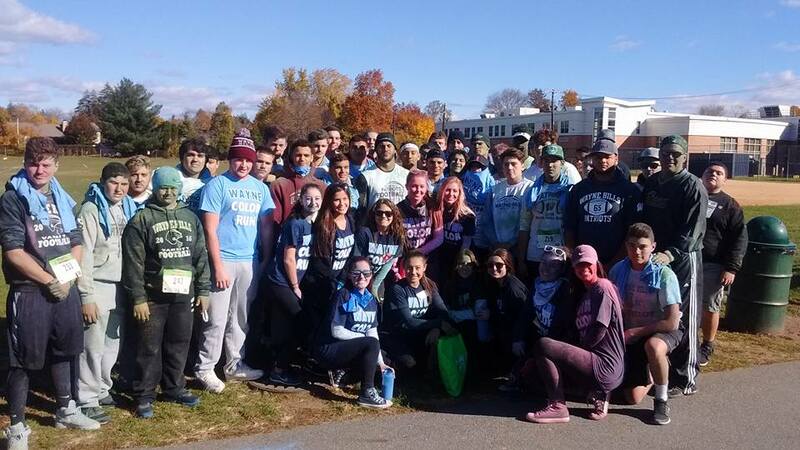 The Patriots walked to benefit Autism Awareness last month, and also were on hand to support the Wayne Hills High School band a few weeks ago, leading the band onto the field for a state-wide competition, which was held at Hills. Demikoff and his players were noticeably surprised and fulfilled by the warm sentiments of race officials and spectators. “We’re walking through the various paint tosses, and people are saying ‘thanks for being here, thanks for taking the time,’ and I’m saying ‘are you kidding?’ Thanks for inviting us’,” said Demikoff. After the race, the team gathered for photos and were then joined by the Wayne Valley High Dance Team. The young ladies and the Patriots football players all smiled in unison, and the photo was clearly overwhelming to the parents and fans, who loved every minute. One woman may have made the best statement, as Demikoff and his team prepared to leave the facility after the race.